Desde Chile, Fernando Ubiergo en Concierto is part of Tierra Blanca Arts Center’s Fifth Annual Semblaza Latinoamericana, which runs over this weekend, October 12-14th, with the theme “Asia in America” at the Montalban Theatre in Hollywood, California. Sunday October 14th, at 5:00 PM is The Closing Concert with Fernando Ubiergo, Chilean singer, song writer and the 2010 Ambassador of Latin American Cultures. The below videoclip showcases his shining moment of discovery and triumph, as he is awarded the La Gaviota de Plata at the 1978 International Song Festival of Viña del Mar, Chile. This song of songs, “El tiempo en las bastillas” (Time in the hems of one’s clothing) had Fernando Ubiergo as its composer and singer and the musical arrangement of maestro Guillermo Riffo. This was more than 30 years ago and the first time that the festival was broadcast in color. A memorable moment for the many, the masses. He became an instant pop star. 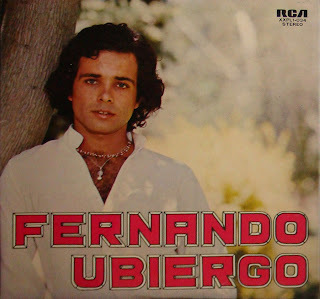 For a modern up to date look at Fernando Ubiergo, as a preview to what he will most likely present on Sunday’s concert – Fundi2 recommends for you to visit his website: www.fernandoubiergo.cl/ . Enjoy his new songs online and then live Sunday at his concert! After speaking with the concert organizer Lillian Flores, it was heartwarming to hear that Fernando (“nunca se les subieron los humos”) has not changed from the description that the host in below Youtube clip says of him. Fernando Ubiergo sings a song that was not well known “Un velero en la botella” from his first album, on a show called “Esta Noche Fiesta” from 1978 Chilean TV channel, Canal 13. Only Fernando Ubiergo is able to confirm if this bit of music lore is true or not. Lyrics in Spanish of the enduringly popular “El tiempo en las bastillas” by Fernando Ubiergo with English translation by Fundi2. Dice n que el tiempo guarda en sus bastillas – They say time stays and remains in one’s clothing hems las cosas que el hombre olvido – the things that man has forgotten lo que nadie escribi – what no one wrote about, aquello que la historia nunca presintio – what history has never sensed. ¿A quien le importar – To whom will this be of importance ? que las gaviotas vuelen la historia del mar? – that the seagulls take away in flight the history of the sea? que no son de Dios? – that are not of God? que las hormigas miguen su propia verdad? – that the ants crumble away, to a truth that is their own? ¿pero quien guardara las cosas que no son de Dios? – But who will save the things that are not of God? As an homage to Fernando Ubiergo’s song of songs El tiempo en las bastillas’ TIMELESSNESS – a true poem of longevity (even though it is now associated with a TV series called “Los 80’s), Fundi2 leaves you with five separate rather “current” covers of this magnificent poetry that makes of and with THE insignificant, significant questions. (The below Youtube videos are in random order). Another wonderful performance from Ubiergo, tonight…as always! An amazing singer/songwriter, with such a great outlook on life and what it means to be a world citizen and hilarious, as well. The two numbers he performed with Claudio Valenzuela were an unexpected but enjoyable surprise!